Comments Off on Uxbridge Bounces Back To Beat The Ice! Uxbridge Bounces Back To Beat The Ice! After a scoreless first period Marshall Lockhart scored two for the Bruins in the second to give his mates a 2-1 lead going into the third. Simon Feig, Jack Schnalzer, Coby Gardner and Alex Siblock all contributed to Lockhart’s goals. In the third the Bruins added two more by Aiden Reilly and Cameron Moffitt who got his first as a Bruin, Adam Bartholomew with two assists and Lockhart with one. Jake Joosten was sharp in the Bruins net including a breakaway in the first period. 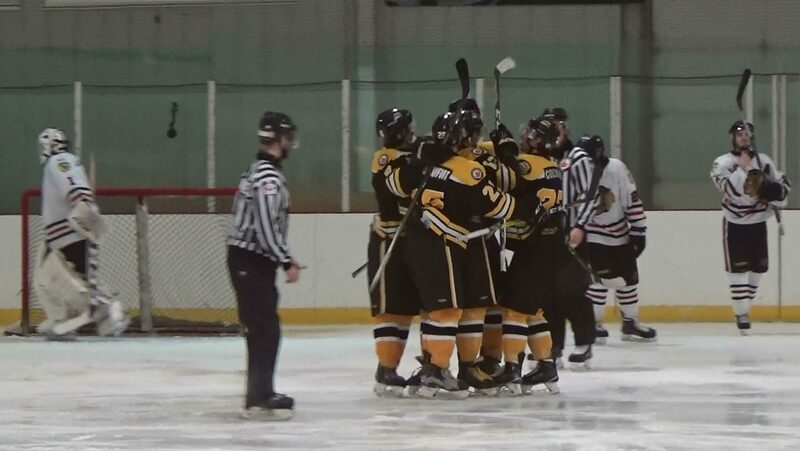 Uxbridge finishes the regular season at home Fri. Feb. 3rd when they host the Clarington Eagles at the Bear Den. 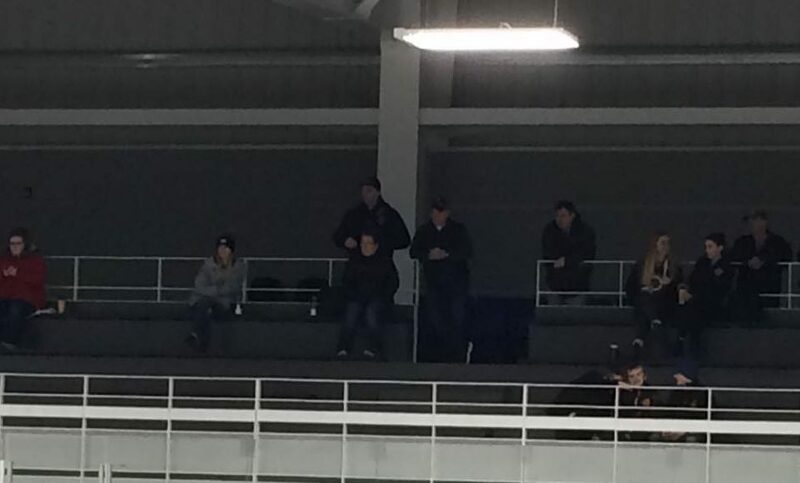 Comments Off on The Score Wasn’t Pretty in Clarington Tonight! The Score Wasn’t Pretty in Clarington Tonight! The Clarington Eagles scored 5 first period goals and added 2 more in the second against the Bruins tonight in Clarington. They would get two more in the third before Adam Bartholomew finally got the Bruins first goal of the game. 27 seconds later Simon Feig scored but that was how it ended in a 9-2 loss for Uxbridge. 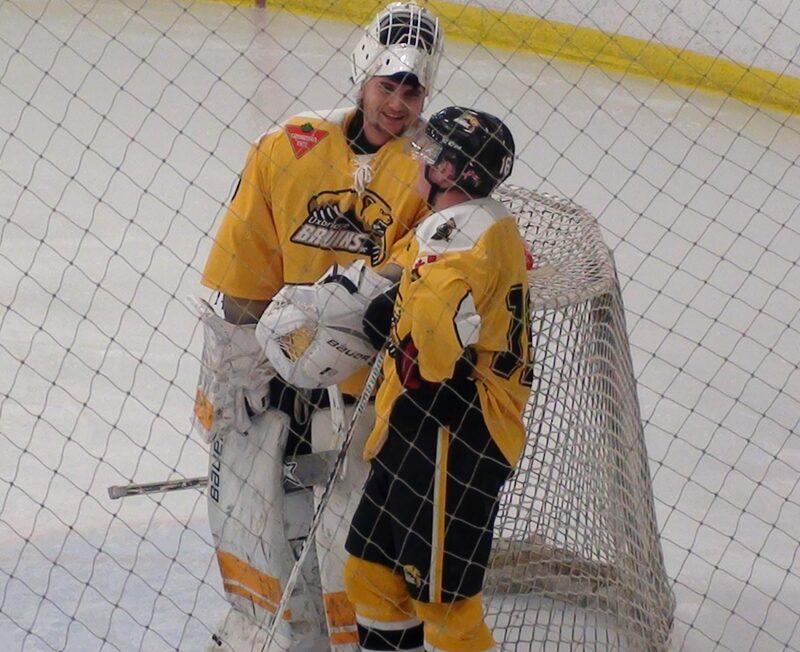 Jake Joosten played the first two periods in goal and was replaced by APM Nathan Walford who came in for his first Junior C game but left after 1 goal on 4 shots due to an injury after making a save. Up next is Georgina Ice tomorrow Friday Jan.27th at the Bear Den. 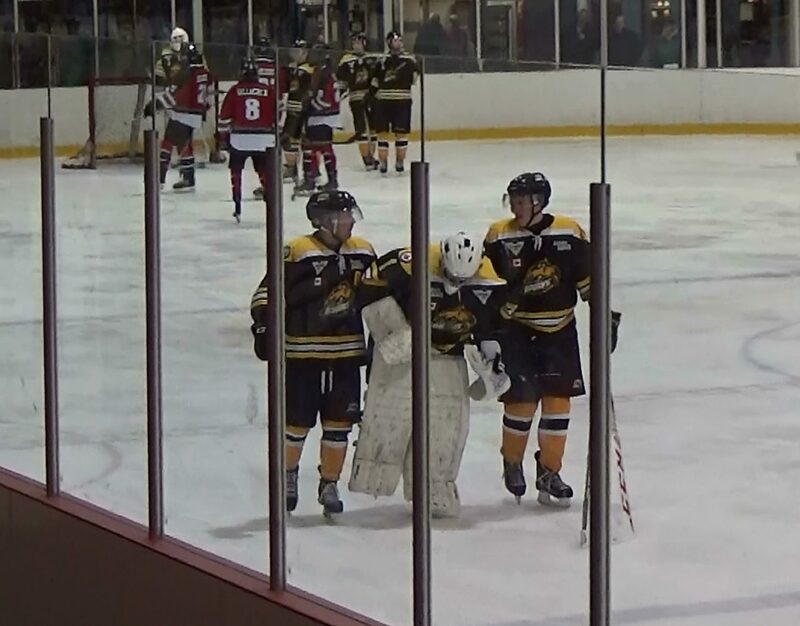 Comments Off on Bruins Lose Important Game in Apsley! 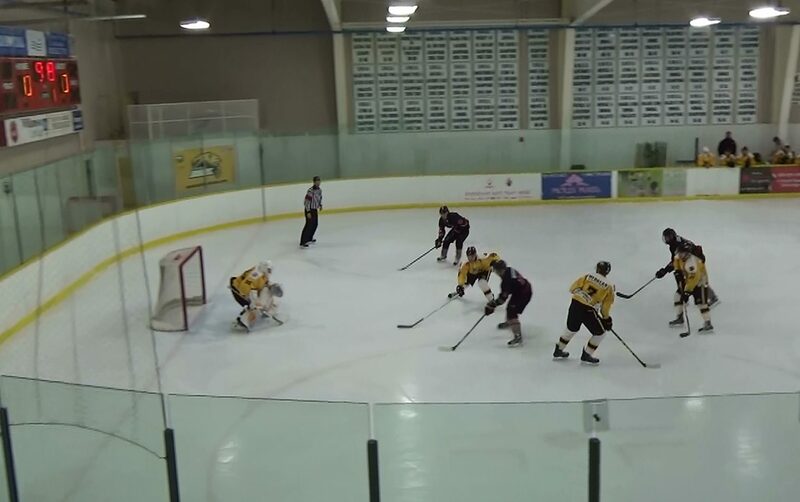 Bruins Lose Important Game in Apsley! It was a four point game against North Kawartha in the battle for a possible home ice advantage in the playoffs but the Bruins got out scored 6-2 tonight with Damien Heinle and Robert Freckleton scoring the Bruins goals. Jake Joosten takes the loss in goal. Uxbridge is in Clarington on Thurs Jan.27 for a 7:20 game. Next Friday they host the Georgina Ice at the Bear Den at 7:45pm. Wes Cowie was the only Bruin to beat the Chiefs tender on this night as the club was outscored 5-1. Ryan McConkey made several big saves early to give his teammates a chance but it was not meant to be. 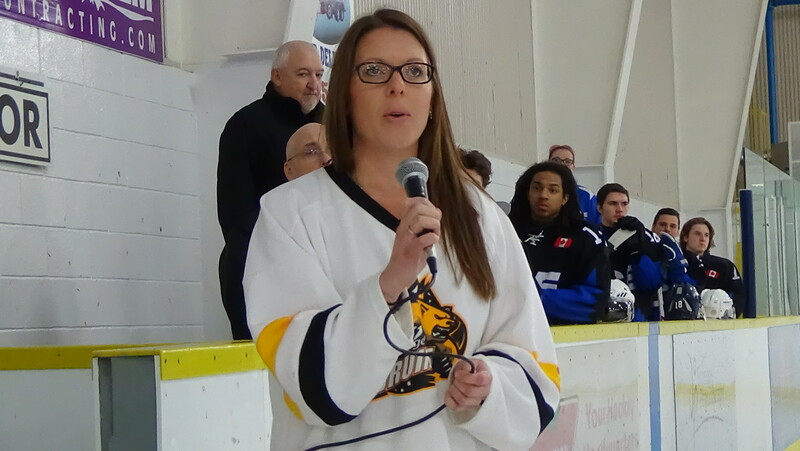 Uxbridge is in North Kawartha on Sat Jan.21st and then Clarington on Thurs Jan.26th before hosting the Georgina Ice next Fri Jan.27th at the Bear Den. Comments Off on Bruins Make It 3 Wins In A Row! Bruins Make It 3 Wins In A Row! Uxbridge struck early just 42 seconds in when Damien Heinle scored from Robert Freckelton and Jason Simmonds however the short benched Ice tied it up at the 9:25 mark. Aiden Reilly (PP) from Heinle and Freckelton got the lead back for Uxbridge just over a minute later. Then it was Freckelton with his first of two from recently signed Josh Burkholder and Reilly for a 3-1 lead after one period. The Georgina squad made it close scoring four minutes into the second period but then the Bruins added 2 of their own for a 5-2 lead on goals by Simon Feig and Damien Heinle. Assist came from Ryan Dunlop, Jack Schnalzer and Cristian Giorgio. The third was all Bruins with Derek Dolan scoring from Feig and Jason Simmonds for a 6-2 lead, which increased to 7-2 on Freckelton’s (PP) goal from Burkholder and Heinle. Ryan McConkey made several key saves when needed and collected the win in goal. Comments Off on Bruins Never Give Up In Comeback Win! Bruins Never Give Up In Comeback Win! (Photographer: Peter Ovens) Bruins Goaltender Jake Joosten and Alex Siblock during a delay in the game. It took 53 mins and 43 seconds until the Bruins scored their first goal of the game by Jason Simmonds, Cameron Moffitt added his first point as a Bruin on the play, but that energized them as they poured it on and that resulted in the lead shortly after. Cristian Giorgio ripped a point blast that deflected off of a Little Britain players stick, Nick Sribny and Simmonds assisting on the play. When you need insurance turn to Sribny who fired a shot from his own blue line, into the empty net and a 3-1 final. Jake Joosten was steady in the Bruins goal and picked up the win on 24 shots. Uxbridge plays in Sutton on Sunday at 3:30pm against the Ice and then host Lakefield Jan.20th at the Bear Den. Comments Off on Bruins Get Back On Track With OT Win! Bruins Get Back On Track With OT Win! 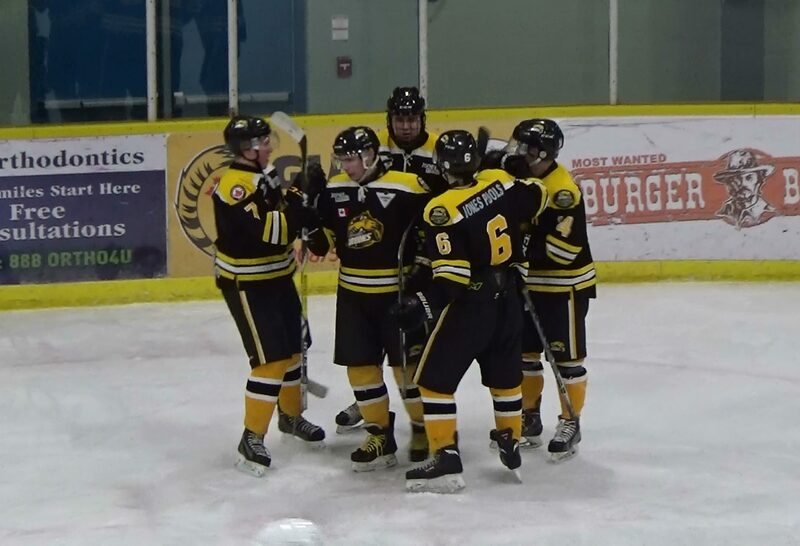 The “New Look” Bruins found their groove today defeating the Port Perry Mojacks 3-2 in OT. Simon Feig got the winning goal with Jason Simmons picking up the assist 2:16 into the extra frame. The Bruins played a scoreless first period with the Mojacks and both teams got one in the second after Feig got his first of the game to tie it at 1-1. The Uxbridge squad led 2-1 on Wes Cowie’s goal in the third but with an extra attacker the Port Perry Mojacks tied it with 21 seconds left to force overtime. Jake Joosten picked up the win as he faced 36 shots. This ends the teams 7 game losing skid as they battle to get ready for the Little Britain Merchants this Friday Jan.13th at the Bear Den. Comments Off on Clarington Beats the Bruins 4-1! Clarington Beats the Bruins 4-1! (Jan.6/17 Photo Nick Sanderson) Jake Joosten Stops a Clarington player on a cross ice play. The Eagles opened up a 1-0 lead after one period and 3-0 at the end of the second in action against the Bruins Fri Jan.6th. They would add a third period marker before Robert Freckelton notched his first since joining the Bruins four games ago. Jake Joosten made several big saves in the Uxbridge net. The Bruins are on the road in Port Perry on Sunday Jan.8th and then next up is Little Britain on Jan.13th at the Bear Den. Comments Off on Uxbridge Bruins Make A Trade With Clarington! Uxbridge Bruins Make A Trade With Clarington! The Uxbridge Bruins announced today the trading of Brady Baker and Liam Timewell to the Clarington Eagles for Cameron Moffitt and cash considerations. The Bruins would like to thank Brady and Liam for their time spent with the Bruins and welcome Cameron who plays forward, to the Bruins Family. Comments Off on Same Score, Different Arena in the Bruins Loss! Same Score, Different Arena in the Bruins Loss! The Bruins fought hard as they held the Chiefs to a scoreless tie after one period of play. 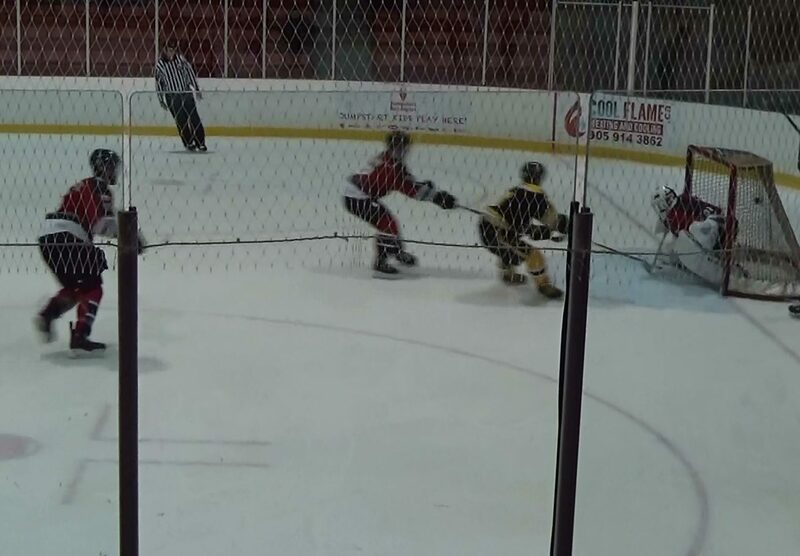 The second period saw the Lakefield squad open up a 4-1 lead with Simon Feig’s short handed goal the lone one for Uxbridge. Feig would add another (PP) in the third on a deflection but the Chiefs got a shorty of their own for a 5-2 final. Uxbridge Host Clarington this Friday Jan.6th at 7:45pm.